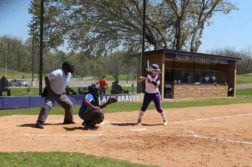 The Alcorn State University (ASU) Braves entered the Southwestern Athletic Conference (SWAC) Championship game winners of the Eastern Division for the previous four years. The Braves (8-3, 6-1) were given the opportunity to host the Championship game at Spinks-Casem Stadium on December 1st at 3:30 pm. Their opponents were the SWAC Western Division Champs, the Southern University (SU) Jaguars. 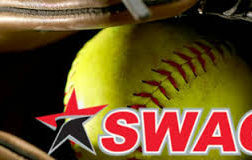 Southern (7-3, 6-1) earned the right to play in the SWAC championship game after defeating the Grambling State University Tigers one week ago. On September 29th, the Braves defeated Southern by the score of 20-3 as they ruined the Jaguars’ Homecoming festivities. Could the Braves beat the much improved Jags twice in one season? Curious minds wanted to know. The Braves won the coin toss and chose to defer. The Jaguars began the game with a great rushing attack. After converting a 4th and 1, Southern’s Quarterback LaDarius Skelton rushed for a 28-yard touchdown. With 12:26 remaining in the first quarter, the Braves trailed 7-0. 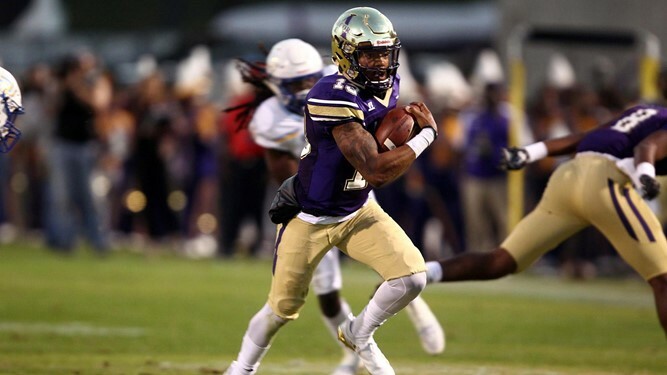 Alcorn began their first offensive possession of the game and Quarterback Noah Johnson had little trouble advancing the ball beyond midfield and into Jaguar territory. After a good passing attack, Running back De’Shawn Waller sealed the Braves’ score with a 13-yard touchdown run. With 8:35 remaining in the 1st quarter, the game was tied at 7. The Jaguars were able to move the ball downfield mostly thanks to a 15-yard penalty committed by the Braves. However, Alcorn eventually forced a punt after back to back plays from Linebacker Solomon Muhammad. With over six minutes remaining in the first quarter, Alcorn took the field for their second offensive possession. On the very first play, Waller continued his outstanding season with an 83-yard touchdown run to give the Braves their first lead of the game. With 6:03 remaining in the first quarter Alcorn State led Southern 14-7. The Jaguars wasted little time tying the game. On a good combination of runs and passes, SU put together a nine play 76-yard touchdown drive capped off by a 22-yard reception by Wide receiver Trey Smith. As the first quarter came to an end the score was locked at 14 all. The second quarter started with Alcorn in possession of the ball on the Southern 46-yard line. After a pair of penalties, the Braves were backed up and forced to try and convert a 3rd and 33. On the third down play, the Jaguars forced a fumble and took over possession on their own 34-yard line. Southern was unable to capitalize on their forced turnover. The Jaguars had no option but to punt after three straight Braves’ sacks. ASU regained possession of the football at the 9:30 mark of the second quarter. Following a great punt from Alcorn’s kicker Corey McCullough, the Jaguars picked up 47-yards on a pass by Skelton. Despite the huge play, Alcorn’s defense held and eventually forced a Jaguar punt. Despite a decent drive pieced together by Alcorn, they also were forced to punt. With 2:00 remaining in the second quarter, Southern had a chance to take the lead before halftime but Alcorn forced a very quick three-and-out and suddenly the Braves had another chance to take the lead before halftime. Johnson then took matters into his own hands. With under one minute remaining in the half, he scrambled for a 44-yard touchdown. As the game entered halftime, the Braves led Southern 21-14. To start the second half, the Braves were forced to punt quickly after only picking up four yards. After the punt, Alcorn’s defense made a big play. Cornerback Javon Morrison intercepted a long pass, and returned it 38 yards to give the Braves great field position. After the turnover, Johnson was able to jump over the line-of-scrimmage for a one-yard touchdown. With 11:12 remaining in the third quarter, Alcorn State led 27-14 after the point after attempt was blocked. The Jaguars then answered the Alcorn score. Skelton delivered a 42-yard pass before running in a one-yard touchdown to trim their deficit. With 8:46 remaining in the third quarter, the Braves held a 27-21 lead over SU. Following an Alcorn State punt, the Jaguars began a drive with a big 25-yard pass. After an incredible play by Skelton to escape a sack and pick up a first down, he then rushed for a 5-yard touchdown. With 3:58 remaining in the third quarter Southern regained the lead for the first time since the opening minutes of the game. The Jaguars led 28-27 and their defense seemed to be peaking. After their score, they forced the Braves to punt quickly and regained possession. Alcorn then forced a punt and the final quarter of play began. To start the fourth quarter Alcorn held possession of the football. The Braves orchestrated a good looking drive that resulted in points. Despite scoring a touchdown, McCullough drilled a 41-yard field goal to regain the lead for Alcorn to 30-28 with 11:30 remaining in the fourth quarter. After a punt, Alcorn mixed in passes with runs which ultimately lead to a 14-yard touchdown run from Waller which was his second of the game. With 3:47 remaining in the fourth quarter, the Braves led 37-28. After forcing a quick punt, the Braves took over possession of the ball leading by two scores, completely in control of the game. The game would eventually end with the final score of 37-28, Braves. Johnson led the way for the Braves with 18 of 25 completions for 135 yards. He also added 147 rushing yards and two touchdowns. Waller had 16 carries for 177 yards and three touchdowns. 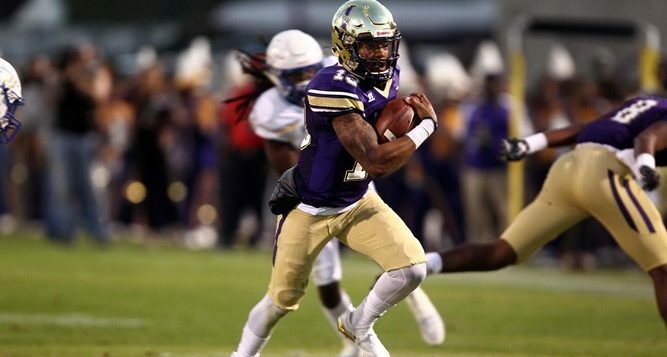 Alcorn improved to 9-3 on the season while Southern dropped to 7-4. The Braves will be in action again against the North Carolina A&T Aggies (9-2, 6-1)) on December 15th in the Celebration Bowl in Atlanta, Georgia at the Mercedez Benz Stadium at 12 noon eastern on ABC.